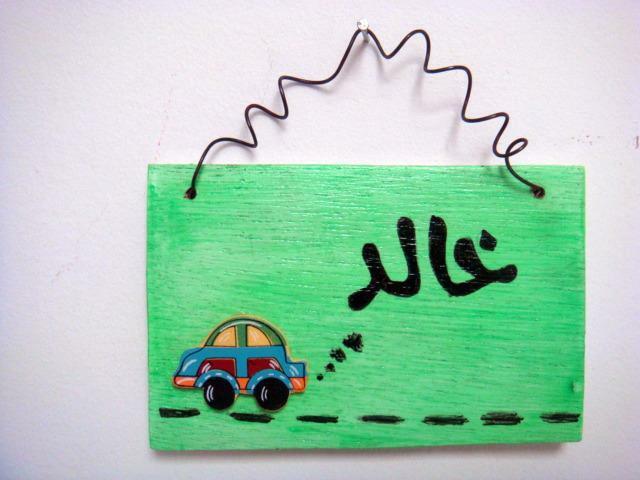 This خالد wood plate with a car is sure to brighten up any little boy's room. This particular name plate is painted with green glow in the dark paint. I hand paint the background and the name and coated the top with two layers of decoupage medium for protection.